Photography for Kids, a workshop specifically designed for young children from 7 to 12 years old, is the perfect opportunity for your kids to discover and develop their love for photography. Lectures will be done in a classroom setting, after which the kids can express themselves through a supervised photo shoot and photo clinic. 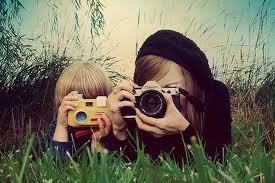 Participants are required to bring their own digital camera during the workshop. It will be held at the Filipinas Heritage Library, Makati Avenue, Ayala Triangle, Makati City. Joey Alvero is a photography instructor for young learners at St. Scholastica’s College. He has extensive shooting experience both in-studio and on location. Alvero is most skilled at off-camera flash lighting and events photography. Moreover, he is proficient in using software to digitally enhance photographs. You can see his works in various exhitibs and publications. The workshop fee is P1,200 inclusive of handouts, snacks, and a certificate. A non-refundable down payment of P600 is required to reserve a slot. The deadline for reservations is on April 28, 2012. Register on or before the deadline and receive a 10-percent discount. Payments can be made in cash, check, or through credit card. Discount does not apply to credit card transactions. Payments may be transferred to another class if a written notice is given at least five days prior to the start of the workshop. Otherwise, a P300 no-show penalty will be deducted.